September will always be a blessing to me. It gifted me with Motherhood. 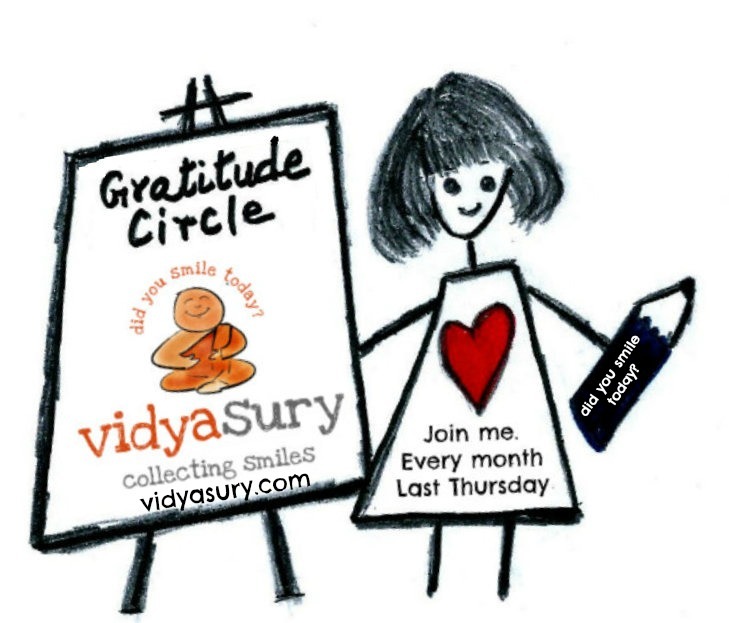 I have completed 3 months of Gratitude and I am loving it even more. 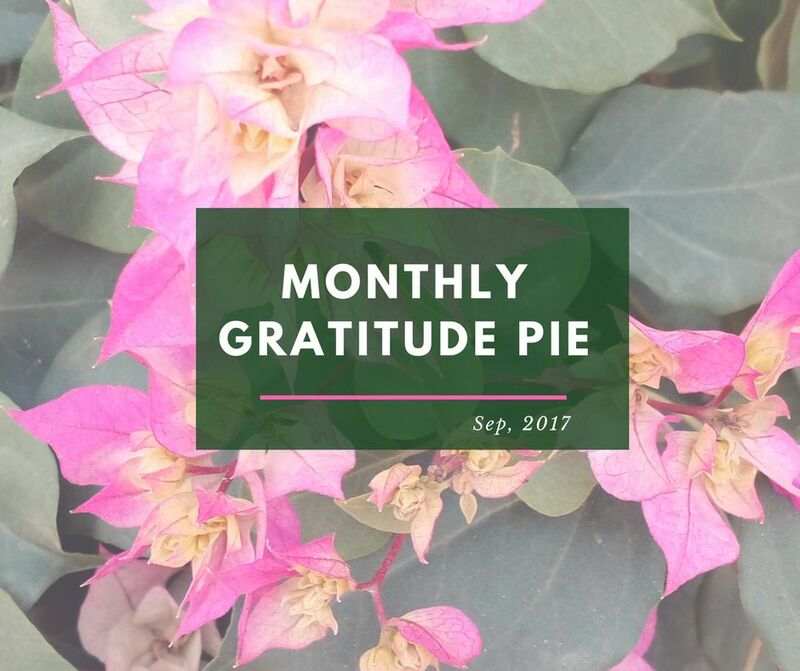 Now, writing down the Monthly Gratitude post is easy with just looking back at those daily Gratitude Pies. Thanks to Blogchatter for giving us the opportunity to bring down our Alexa rank. This new Blog came from 4,276,678 to 1,939,518 globally. From Vegetable market to Nature walk, from Painting to Salad making, using Emotional Quotient to regulate their behavior - I am happy that I chose the right school for Kid. After 3 months of facing hosting issues for Life through my Bioscope, I finally shifted to Siteground. I am happy with them- Their support is quite fast and now my site is secure as it comes with SSL certificate. These days, I am more into planting. Watching the seedling grow into a plant is therapeutic. I am planning to keep one plant on each desk in Office. This year I preferred inviting his age-mates for a Home party and Kiddo really had fun. He enjoyed the company. He enjoyed cutting his Motu-patlu cake. I am happy that he gets the love and care from so many people. Expressing Gratitude wasn't so easy until I found Gratitude Pie. I love how crisp you write some of your posts! I loved the Storify Idea! If not for you, my gratitude pie wouldn't have been great for August and September! Now, I am writing down in a book. Thanks Jayanthy. Storify is a great way to store collections. I have filled 1 journal already...headed to second one. Hey Sanch. Thanks. Do join us over Instagram for gratitude pie. Happy to read about all positive things happened last month for you. Really I loved the concept of Gratitude Pie. Thanks Vasantha. These days, I am using water color to spice up my Pies. Your September looked like a very full month - and I love that it overflowed with gratitude! Yes Corinne, it was. I wish Gratitude fills up rest of my year too.